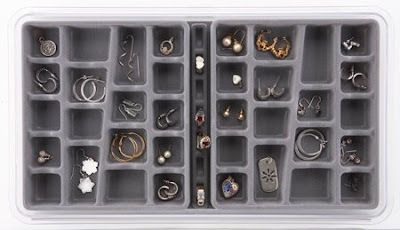 Lots of earrings, but not lots of space? 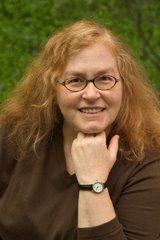 Here are some more alternatives to consider - assuming, of course, that you've already determined you really do want to keep all those earrings. Options 1 and 2 were discussed yesterday; here are five more. I've noted some lovely wall-mounted racks before, but the one above accommodates more pairs than most. You can choose your style: the unusual rotating posts, the more common slotted rack, or a combination. 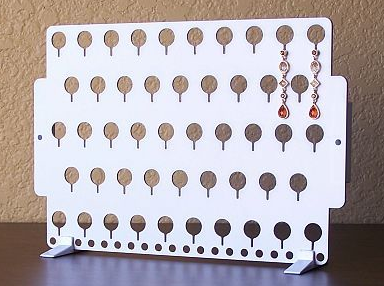 And while they aren't as pretty, acrylic earring racks can also work. Stacks and Stacks has some, including a folding screen that holds 128 pairs, and a different design holding 90 pairs. 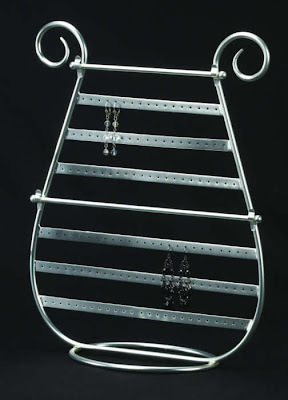 I've shown an earring display rack before, but there are many more, including this one. 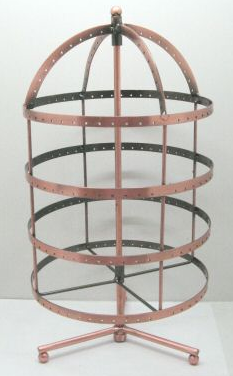 Revolving racks can be found as both commercial display racks and racks intended for the home. This is one of many offered by Sunrise Imports of Australia. You can find some similar ones over on Amazon. To see one in use, see Dayna Ngai's blog; she got hers in Singapore. And there are earring carousels in wood, too. One of the best-known brands here is Neatnix, with its stacking trays. 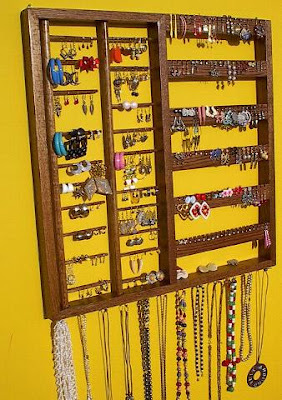 Finally, here's an earring holder unlike any other I've seen. I have always found that when people have the ones with little holes where you are required to actually fasten the backs on, they do it for a while and then start just putting the earrings down next to the organizing product because they don't feel like refastening them on... I like the Neatnix one and other options where you can just put them down and walk away. As always, you raise a very good point, Lorie - thanks for chiming in. I always wear French wires where there's nothing to fasten on (or there could be, but I don't use it) so I tend to forget about the backings on posts.